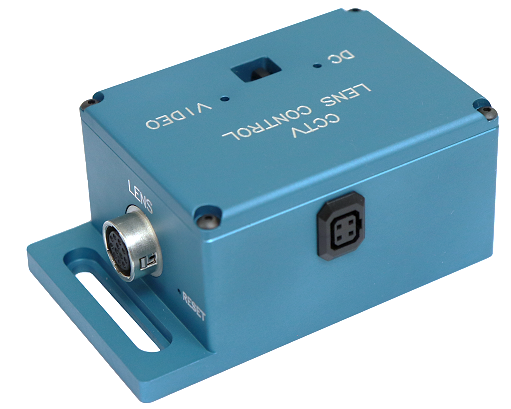 The CCTV Lens Controller (LC-1S) is a compact controller for CCTV lenses. The LC-1S can operate lenses with up to three motors with or without potentiometers as well as auto-iris lenses with DC or Video iris. The Ethernet connection makes communication much simpler than traditional serial lens controllers and also allows it to be operated over a longer distance than serial devices. The LC-1S is compatible with Windows, Linux and Mac via API commands. Uses for this device include Closed-circuit television systems (CCTV), event monitoring, machine vision, and optical based measurements in wind tunnels or other large test facilities.